When you first enter Route 7, you will see that the road has been blocked. 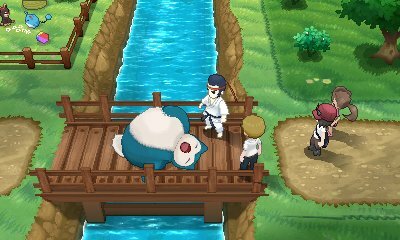 It seems a Snorlax has fallen asleep blocking the bridge. Knowing that Snorlax needs to be awake to be removed, you're tasked with getting the Poké Flute from the Parfum Palace. When you return with it, it is played and Snorlax attacks.